However – FEMA does NOT have a “priority vendor” program. FEMA does maintain a legitimate web site for vendors who wish to voluntarily provide supplemental information on the kinds of services they would like to furnish to FEMA, and there is no fee to use it. That web site is at: https://www.fema.gov/media-library/assets/documents/29748. With so many communities in Florida, Georgia, South Carolina, and North Carolina impacted by Hurricane Matthew, it’s critical that contractors be wary of phone calls and emails from self-described “emergency managers” promising “priority vendor” status. Remember, FEMA does NOT have a “priority vendor” program. Feel free to contact your local Procurement Technical Assistance Center (PTAC) if ever you are in doubt about the legitimacy of any government contract-related offer. There ARE steps that companies can take to position themselves to participate in disaster response and recovery efforts. FEMA often needs certain types of items following a disaster, such as office supplies, dumpsters, shredders and other disposal equipment, janitorial supplies, locks, portable toilets, hand washing stations and sometimes material moving equipment such as forklifts. In some areas they need certain services such as certified translators. Keep in mind that most “disaster relief goods” are actually purchased by state-based emergency management offices. A list of all of those agencies can be found at: https://www.fema.gov/emergency-management-agencies. Reach out to municipal and county governments, as well as state procurement offices. Often these offices control much of the work that is done. In fact, FEMA doesn’t do anything without request and concurrence from the state, local and (when applicable) tribal governments. The type, kind and quantity of assistance FEMA provides is entirely up to state and local authorities. If debris removal contracts are already in place for routine incidents, such as wind or ice storms, those contracts will probably be used for major disasters first. Be aware that, like most federal buyers, FEMA buyers usually perform market research via the federal government’s official vendor data base, the System for Award Management (SAM) as well as search engines such as Google. Make sure your company is well represented on the internet, with an up-to-date website that clearly describes the goods and services you offer. Also, check your SAM and DSBS (Dynamic Small Business Search) profiles to ensure that your status is “active,” the contact information is current, and your list of capabilities is complete. 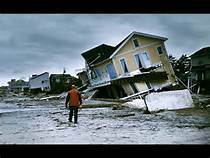 Know that FEMA buys some things at the region level and some at the national level. It’s most advantageous to establish contracting relationships with the appropriate offices ahead of disasters, because buyers often turn to the contractors they know first. Most importantly, consult with your local PTAC for assistance in disaster response – or any other government contracting issue. Also, use your local PTAC any time you are in doubt about whether a government contract-related service being offered to you is legitimate. Most PTAC services are free of charge, allowing PTAC experts to give you the assistance and advice that is right for your business. Want to participate in disaster response/recovery contracting?